I am a Tolkein nerd, I can measure my life by my first and each successive time of reading Lord of the Rings and The Hobbit. I will forever be more than a little bit gutted that I wasn’t born early enough to meet the man who wrote these great works. So you could say that I’m a bit biased. Now with that over, I will try and objectively review this book. It’s not very often I will read a biography and since leaving university there are very few times that I successfully finish a non-fiction text. I usually pick them up fascinated and eager to read but about half way through I lose interest and venture back to pure escapism. But, with Humphrey Carpenter’s attempt at a biography I didn’t feel this; instead I was hooked from the outset. Until recently I wasn’t aware that this book even existed and at that moment I thanked god for Amazon Prime. Once it had plopped down on my doormat I quickly sped through the first 150 pages and ended up completely addicted. The book is well written and easy to read, which I imagine was no easy feet to achieve when you consider the subject. 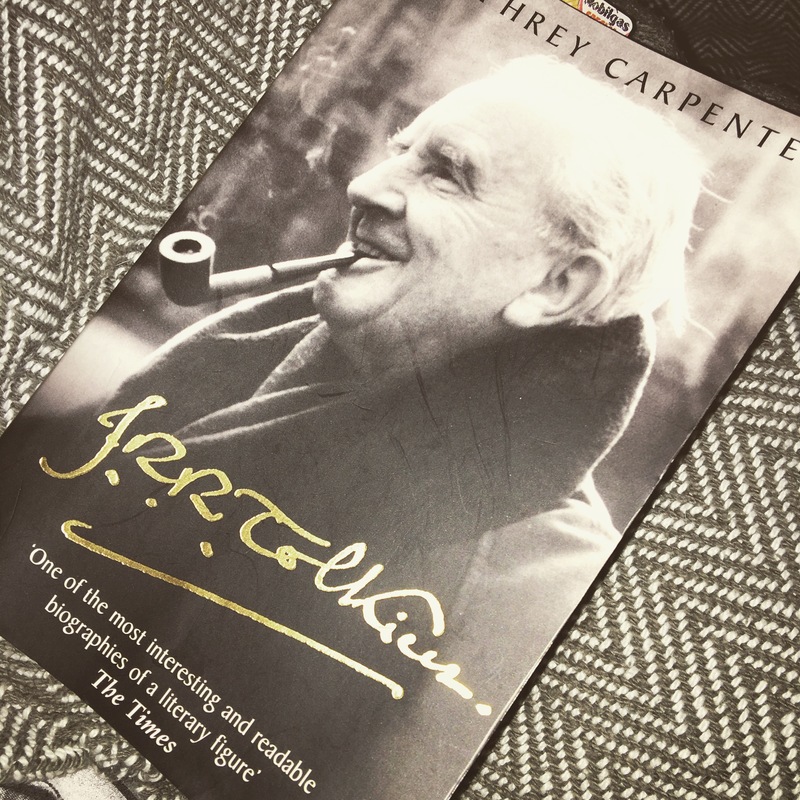 I felt (although possibly skewed) that Carpenter dealt with Tolkein’s character in a very respectful but still honest manner. He shows the good, the great, the odd and eccentric as well as the bad and possibly ugly of this great author. The book moves on in a speedy fashion and relatively chronologically, bringing you from the Victorian era through to the end of the swinging 60s in what feels like the blink of an eye. You spend youth and innocence with John and Hilary in the rustic pastoral midlands, survive the loss of their mother. From there on to the boarding house where we enjoy flirtation and young love upon meeting Edith. Inevitably and heart breakingly we survive the First World War with all the loss and heartache it brings. After the war we ping pong up and down the country following Tolkein in his academic career. Finally settling in Oxford, we see Tolkein through his life as an academic and then on to retirement in Bournemouth. After the loss of Edith, Carpenter takes us through Tolkein’s final years and his death. Obviously the biography is much more detailed and give us much more insight into the life and loves of Tolkein, into his mindset and experiences. But I don’t want to give too much away! With a good range of access to letters, diaries, written first hand accounts and memories of those who knew him and his family best; I found that I got to know a man as complicated as Tolkein as much as is possible in this style. If you are just looking for a book that will tell you about the inspiration and writing of the Lord of the Rings and The Hobbit, then this is not the book for you. As Humphrey Carpenter explains, there is no definitive experience or inspiration which created these mythologies – only a man with an immense imagination and an immeasurable talent for languages who spent his life working and reworking these texts. But it will undoubtedly leave you with a better understanding of how and why these texts came about, as well as a peep into the mind of Beren. As an avid Tolkein fan I can wholeheartedly recommend this book to any of my fellow geeks, and to those with just a passing interest (if they really exist) this will always be an account into the life of an interesting man. He may have seemed to have lived the ordinary life of an English academic, but anyone who has read a word he has written will know that that cannot be the whole story.